Marie contributes to the design of governance programs and undertakes research, analysis and policy outreach to promote the prudent, transparent and accountable extractive sector management in countries of NRGI concern. She leads activities related to state-owned enterprises’ reporting practices and contributes to the implementation of the Extractives Industries Transparency Initiative in the Democratic Republic of Congo, Guinea and Mongolia. Marie also leads NRGI’s Open Government Partnership activities. She led the research process, coordinated data analysis and steered production of the 2013 Resource Governance Index, a measure of transparency and accountability in the extractive sectors of 58 countries. Previously, she worked for two years as a consultant in London. Focusing on the natural resources sector, she advised donors and mining companies on issues related to conflict minerals, artisanal mining and mining regulations compliance, among other subjects. She has published articles related to these topics and has traveled extensively in Central Africa. 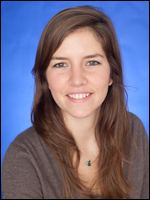 Marie holds a law degree from the University of Paris II and Oxford as well as an M.Sc. in public management and governance from the London School of Economics.